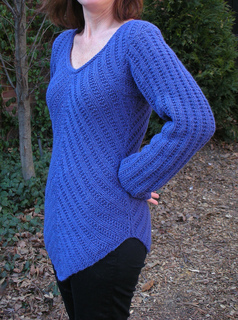 Here’s a sweater designed to flatter every figure! 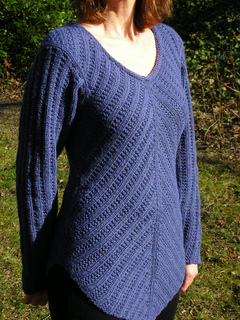 Fully-fashioned increases and decreases create a beautiful angular design that draws the eye up and away from any possible figure flaws below. Incorporated vertical lines at the center front, back, and along the side seams create the illusion of slimness and height. 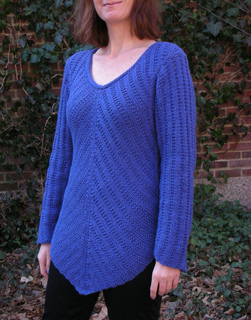 A simple rolled edge frames the integrated neckline.